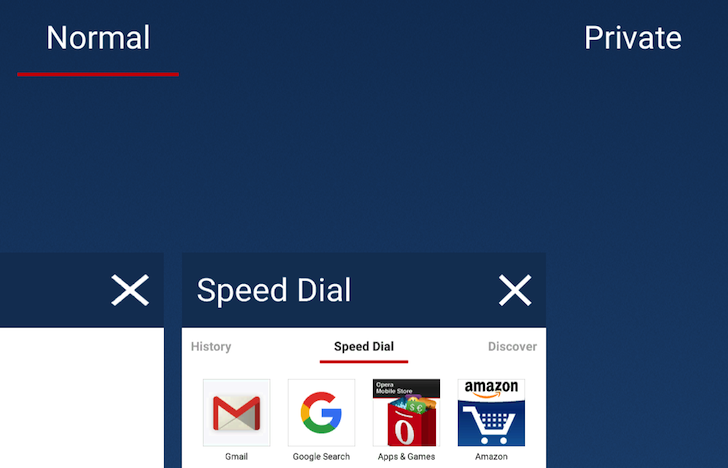 Opera might be getting ready to be sold out to a Consortium of Chinese companies, but that's not stopping the Norwegian team from updating the different apps and browsers under its umbrella. The most recent update touches Opera Beta, the open beta version of the full fledged browser (not Opera Mini). It upgrades the browser's codebase to Chromium 49, which as you'll recall enables Physical Web support with Bluetooth connectivity inside the browser for beacons for example. 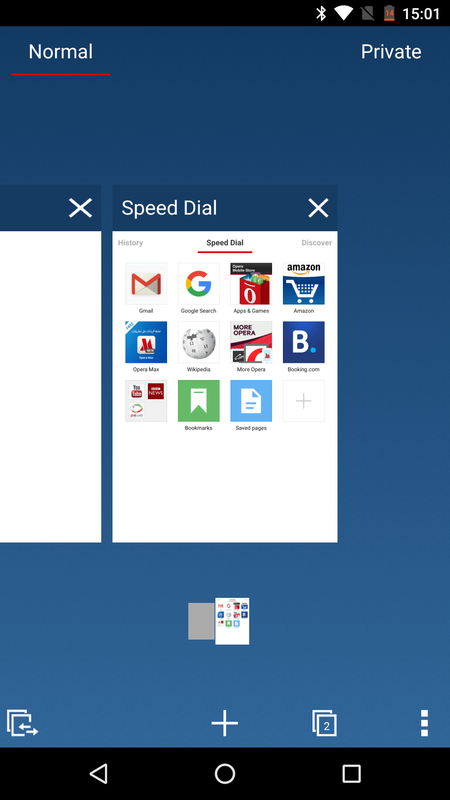 The most significant change in the interface is a new tab switcher and selector similar to the one that's been active in Opera Mini for a while. Gone is the bottom black panel, and in its place there's a new full screen selector with scrollable tabs on a blue background. Left: Old tab selector. Right: New fullscreen tab selector. Private tab management has also gotten better with this new selector. 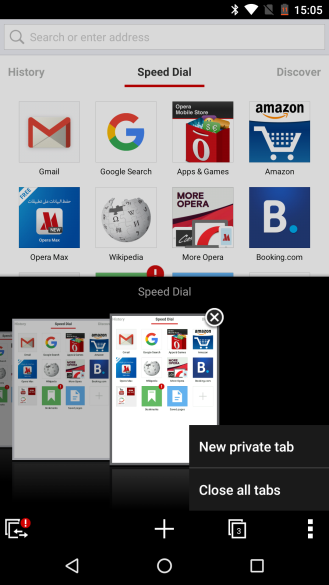 The private browsing mode is easier to spot in the top of the screen and switching to it turns the entire background dark for better visual differentiation. That separate page and dark background are much better than the previous selector where private tabs were only distinguished through a darker grey border. 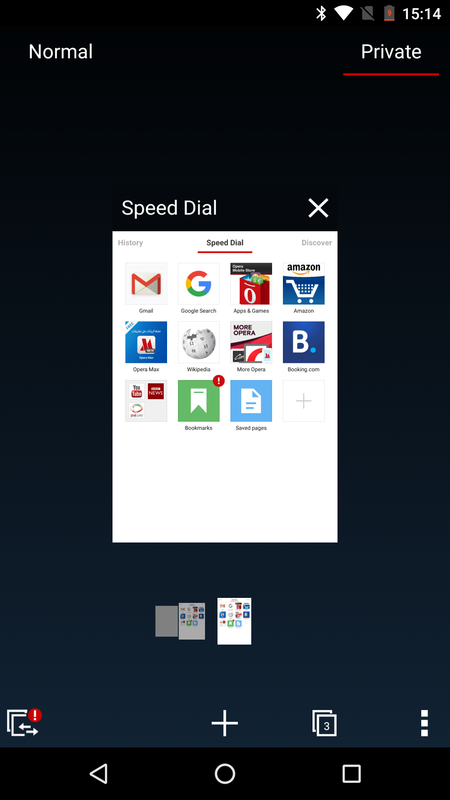 Left: Private tabs had a darker grey border. 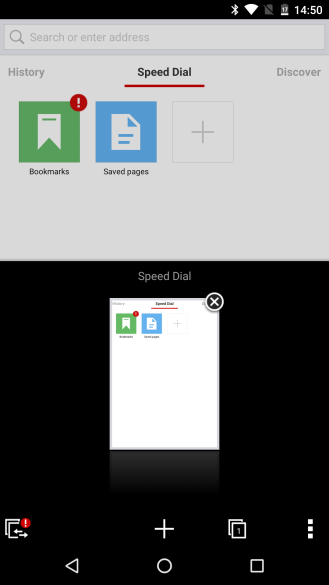 Right: Now they're on a separate screen with a dark background. - Upgrade to chromium 49. 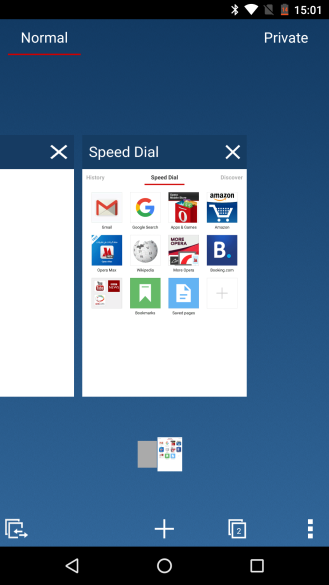 Opera Beta is free and open to try for all on the Play Store. You can grab it from the link below.